Google added its Nearby feature to Android phones back in 2015 and upgrading it to version 2.0 nearly a year ago. The premise is simple – your phone listens for Bluetooth, Wi-Fi, and inaudible sounds to find out if you are in the proximity of other capable devices. Shops or brands often use BLE beacons that broadcast information to supported devices, but it also has other uses too. You can play games, message your friends, and even share files. It’s not just for commercial use, and as such, we’ll be seeing support for it come to Chromebooks, according to two recent commits made on the Chromium Gerrit. These commits both suggest the addition of the Nearby API to Chrome OS, something that users of Chromebooks may benefit from greatly. Not only are they portable and more likely to be brought out and about, but it allows them to communicate with Android devices too. Given the Android-ifying of Chrome OS in recent months with many new additions, that part isn’t so surprising. 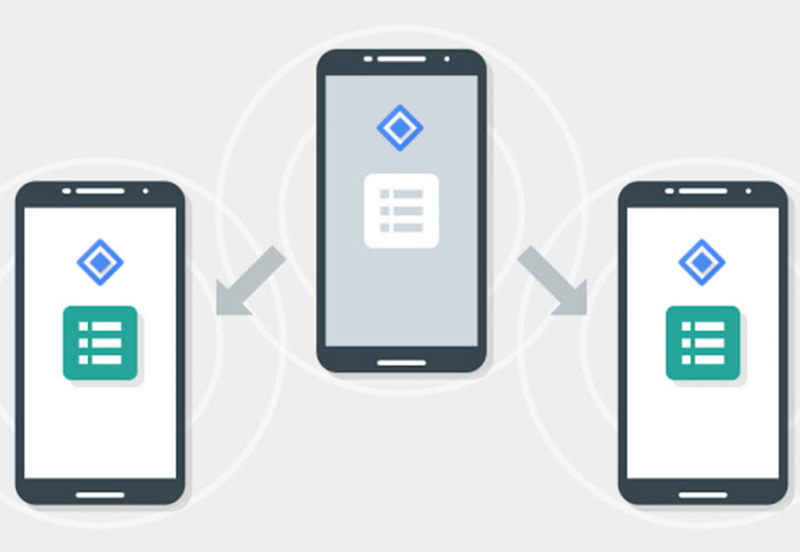 You’ll be able to get the same notifications as regular smartphone users do as well when you’re out and about, which includes viewing BLE beacons. What are other uses for the Nearby API? Not much, at present time. It could potentially recognize other Chromebook users nearby, but what you could do with that information is limited. Chrome OS isn’t exactly used as a gaming platform, unlike Android where it could make sense. It’s also not typically used as a messaging platform either – users resort to third-party apps for that. It could be useful for connecting to your own smartphone, as the Nearby API allows for file transfer too. It will need to be implemented correctly to be used at all by users, so we’ll wait and see what Google does with it once it arrives. All going well, we’ll see it make its way to a Canary build in the coming days. If there are no problems then we’ll see it in a stable branch in a few weeks time.